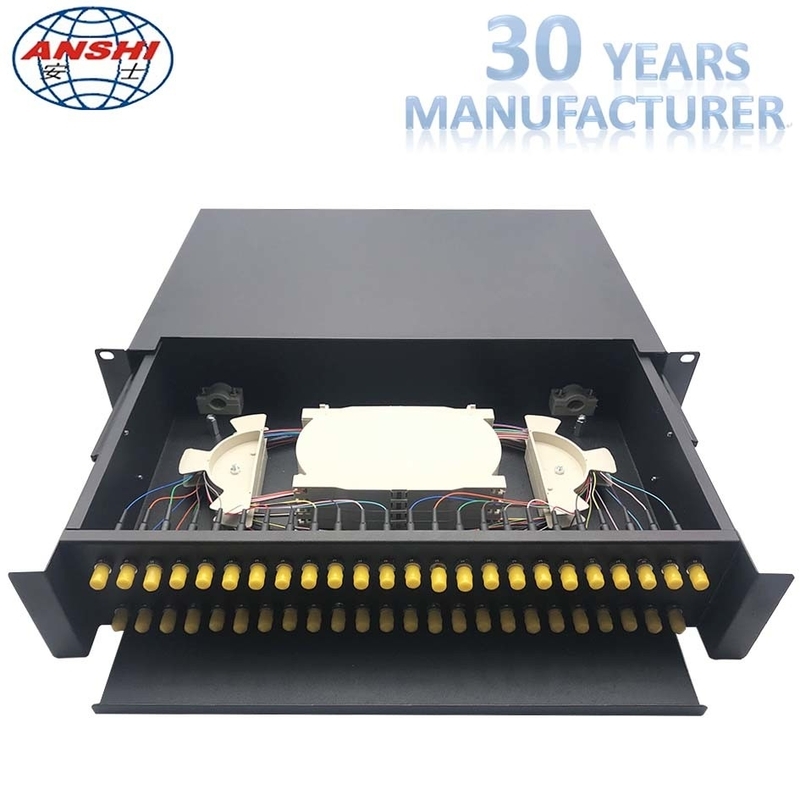 19 inch / 21 inch Rack Mountable 24 Ports ST Simplex and Pigtail Fiber Optic Patch Panel ODF is the fiber optic terminal box for fiber optic cable joint and distribute. Suitable for install in the data cental room. 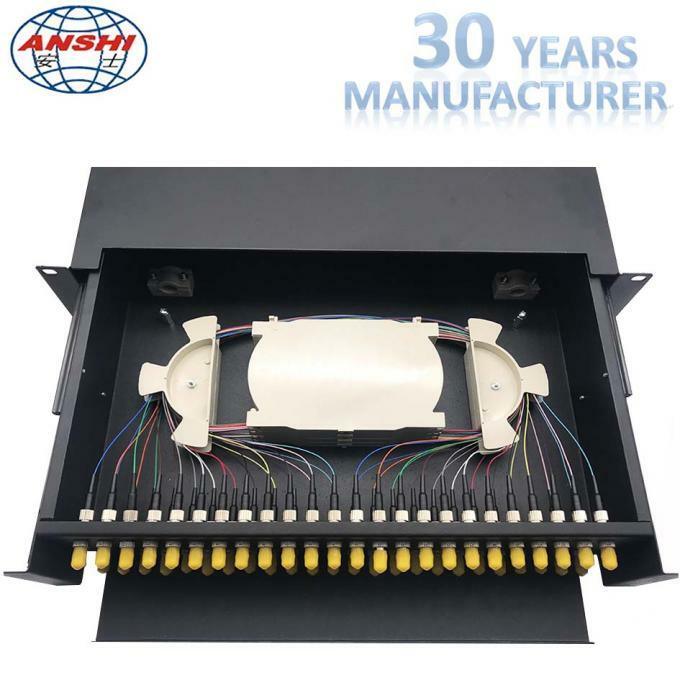 The slidable design is easy to use and install the fiber optic ables. There have enough space to hold the fiber optic cable.